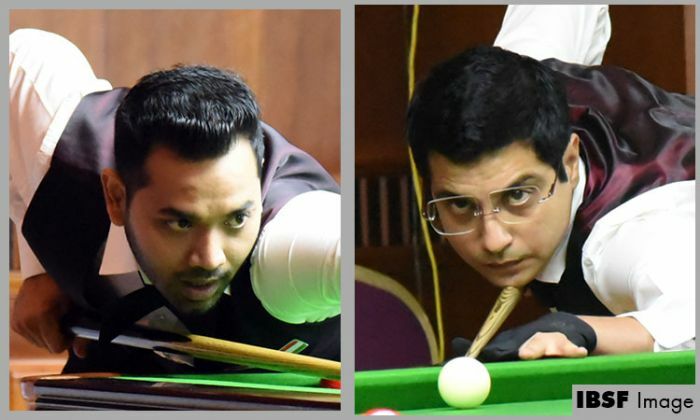 Start of the match was not good for India-4 as the key player of the team, Kamal Chawla, lost the first frame to Ahmed Saif 29-53 but his partner Varun Madan remained steady and won next frame 64-23. He complimented his partner Kamal in scotch-doubles too to win that 65-26. For India-4, there was disappointment again when Kamal lost to Ali Alobaidli in the fourth frame to head towards the decider. In the deciding frame Ahmed Saif obtained good lead but failed to maintain that and lost to Varun Madan. Varun made a remarkable comeback holding his nerves much better till the end and secured the frame 79-66. On another table, team Wales-2 comprises of Darren Morgan and Andrew Pagett secured all five frames and registered first 5-0 victory of the team championship so far.